Let’s Look at the Last Decade in San Clemente Real Estate. Those who were real estate savvy in 1995 have reaped the benefits of property values doubling two times in the past 10 years (or nearly 4 times their 1995 value). However, it is never to late. San Clemente is fore casted to produce an additional 15% increase in property values in the next 12 months. Once a small, quiet, beach town at the south end of Orange County, San Clemente has recently grown by leaps and bounds. The world’s best climate, with 342 days of sunshine each year, white sandy beaches, downtown shopping, outdoor cafes, street fairs, quality restaurants and much more, have attracted attention from travelers and homebuyers worldwide. And although in 1995 the real estate market was several years away from its most profitable cycle, the stability and appreciation that coastal property ownership has always offered gave home buyers and investors the confidence to invest in this southernmost Orange County beach town. To understand just how the market has appreciated over the past 10 years, a comparison of 1995 property values to 2005 amounts is an eye-opener. In the Villagio community of Rancho San Clemente a 3 bedroom, 2 bath, 1800-sq. ft. home purchased in 1995 for $220,000, is currently valued at approximately $850,000. 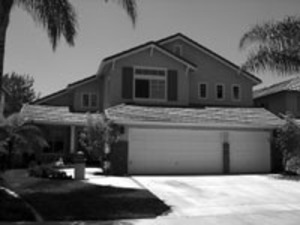 In Forster Ranch a new 5 bedroom, 3 bath, 2700-sq. ft. home was valued at $269,000. The same home sold June 6, 2005 for $889,000. 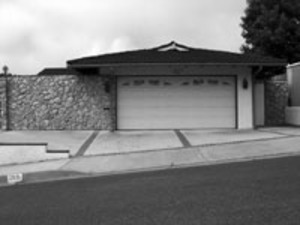 In central San Clemente east of the freeway an ocean view 3 bedroom, 2 bath, 1600-sq. ft. home originally purchased for $235,000, is now for sale at an asking price of $1,075,000. Steps to the pier at the Reef Gate West Condominium ocean front community, a 2 bedroom 2 bath, 1500-sq. ft. condominium could be purchased for $400,000. Today, the same community is selling ocean front condominiums in a range from $1,300,000 to $1,595,000! It is obvious that those fortunate enough to have made a purchase within the last 10 years, are enjoying much success in the real estate market today. And with interest rates hitting all time lows several times in recent years, investors are also reaping the benefits of lower monthly payments. In 1995 a homebuyer or investor would expect to pay between 7.25%-8.25 % interest on a 30-year fixed jumbo mortgage. By 2005, homeowners were not only experiencing large profits on their real estate investments, they were enjoying opportunity to take advantage of even lower interest rates. This phenomenon became known as the refinance boom, with homeowners acquiring 30-year fixed jumbo mortgage interest rates as low as 4.75%-5.50%. Derek Larson & Russ Beaugureau can be contacted at 949-874-2076.